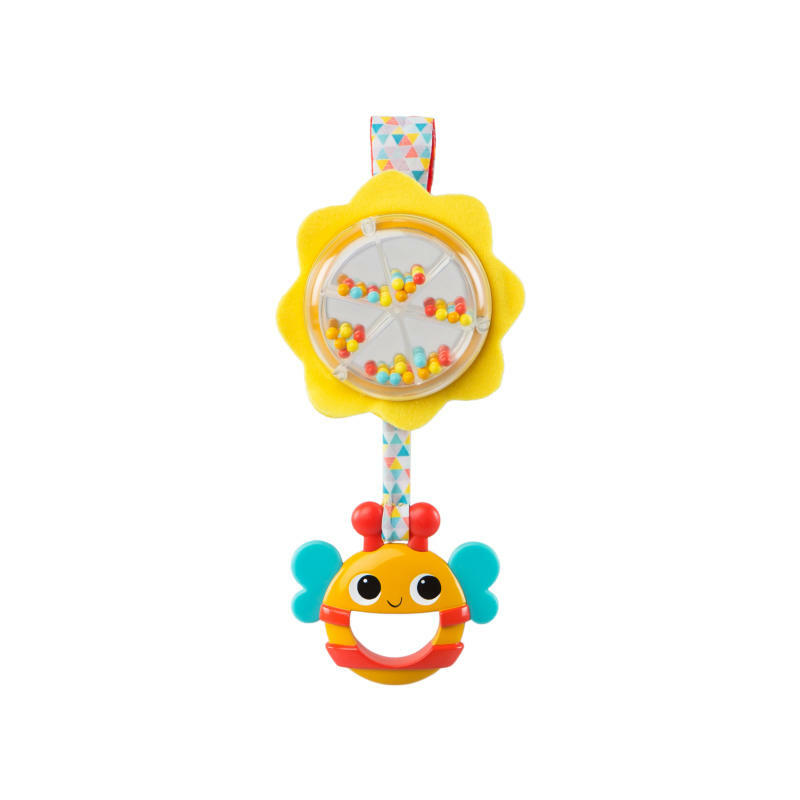 A pull of the Bright Starts Spin & Rattle Bee™ take-along toy sends beads jumping and bouncing in this lively sensory toy. Introduces baby to cause and effect. The bright, and colorful bee is easy to grasp and supports visual stimulation. Link attaches to most carriers and strollers.